A recent survey by Forrester Research found that 74% of business buyers conduct more than half of their research online before making an offline purchase. This shouldn’t come as a surprise to B2B marketers, who have been struggling to reach an increasingly independent audience for years. In fact, this change in buyer behavior has been a catalyst for the shift to a customer-centric selling model. “Today’s buyers control their journey through the buying cycle much more than today’s vendors control the selling cycle … Marketing now owns a much bigger piece of the lead-to-revenue cycle, and B2B marketers must take responsibility for engaging with the customer through more of the buying journey,” commented Lori Wizdo, VP, Principal Analyst at Forrester Research in a recent blog post. Marketing content is an important piece of this puzzle. Marketers must cater to their buyers’ preferences by producing readily-available, cross-channel content that buyers can access on their terms to aid in the decision-making process. This calls for a stage-based approach, which means breaking the buying cycle down into its most basic steps and creating targeted content for each unique phase. Personalizing each buyer’s experience can seem daunting, but today’s MarTech solutions make this a bit easier to execute and automate with capabilities like lead nurturing, retargeting, and dynamic content. In order for a stage-based strategy to be effective, the content that you’re providing must be appropriate for the exact stage your buyer is in. If not, they will take their research elsewhere—and unfortunately, “elsewhere” typically means your competitors. Here are a few rules of thumb for content development at each sales stage (depending on your business, you may have more or fewer stages than what is outlined below). When buyers are just beginning their research, they may not have even heard of your product or brand. They just know they are concerned about or looking to improve a certain aspect of their business. Content in this stage should be light, educational, and focused on topics relevant to your industry, not your product. It’s your job to show customers that they have a need for your solution. At the bottom of the funnel, your buyers have decided that they want what you offer, but are still trying to choose the right vendor. At this point, you’ll want your content to do a combination of the following: create urgency, help buyers justify their decision to upper management, and get them thinking about the implementation process. Remember, nothing will be more persuasive to the C-suite than concrete proof of success. The secret to success with stage-based marketing is twofold: Having a variety of content available on your website for buyers at all stages of the sales cycle is great, but it’s equally important to be proactive and help buyers find what they need. 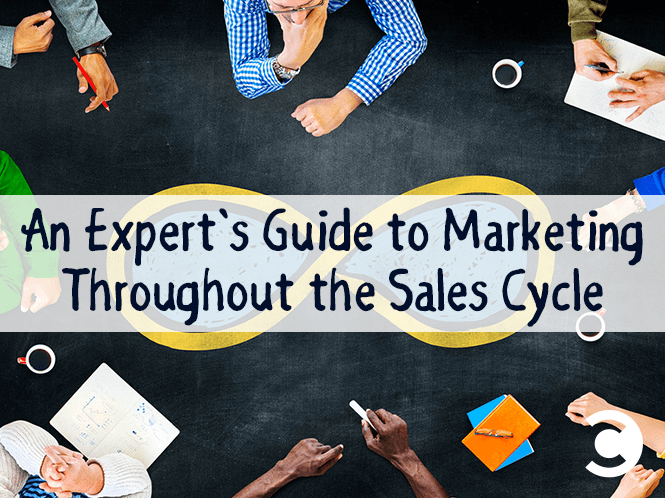 Actively delivering stage-based content to buyers throughout the sales process can help propel them from one stage of the sales cycle to the next—all while letting them know you are invested in their success. Jenna Hanington is a Senior Content Strategist at Pardot, a salesforce.com Company, where she has been specializing in content creation and copywriting since 2012. Her writing has been featured on the Pardot, Salesforce, ExactTarget, B2Community, and Capterra blogs, as well as in the recently published book, Understanding Social Media: How to Create a Plan for Your Business That Works.